Cartoonist Teri Robertson will guide students of all ages through the fun, exciting world of cartooning. 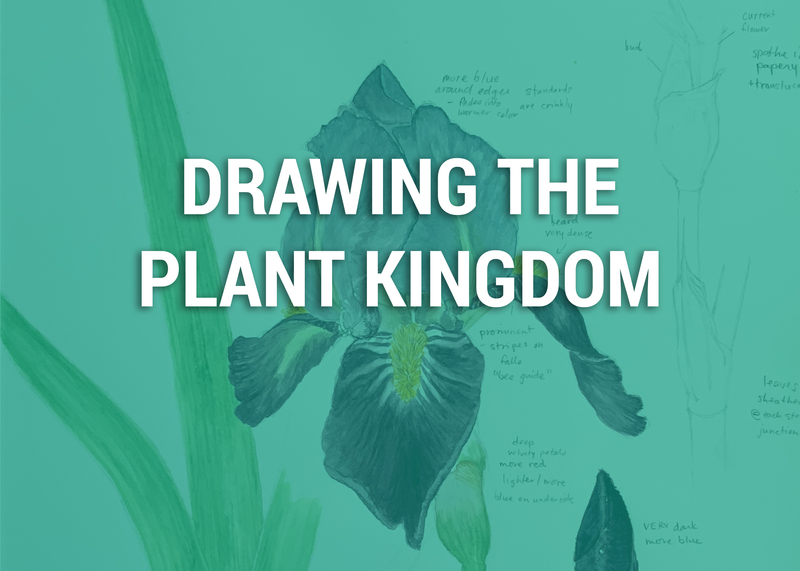 Students will learn how to identify the underlying geometry of forms and figures and how to construct cartoon images by assembling basic shapes. Age-specific lessons will explore the many aspects of cartooning, from caricature and exaggeration to speech balloons, onomatopoeia, and character development. Students will complete a variety of fun and entertaining cartoon art projects focusing on several different aspects of the art form. Students will learn to conceptualize and construct cartoon images as an assemblage of basic shapes. Students will understand how to convey meaning and humor through the use of caricature, expression, exaggeration, line, and color. 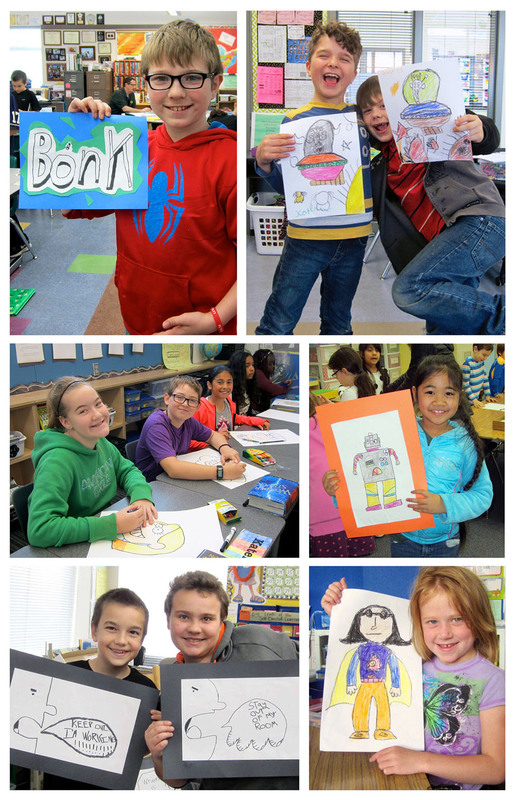 Students will generate and refine ideas based on imagination and storytelling to create cartoon art. Students will learn how to depict sound, movement, and emotion in a visual format. Students will examine how cartoons can reflect an artist’s environment and personal experience. Best suited for K-5th grades. Can be modified for other grade levels. Teri Robertson has been a professional cartoonist for 32 years. 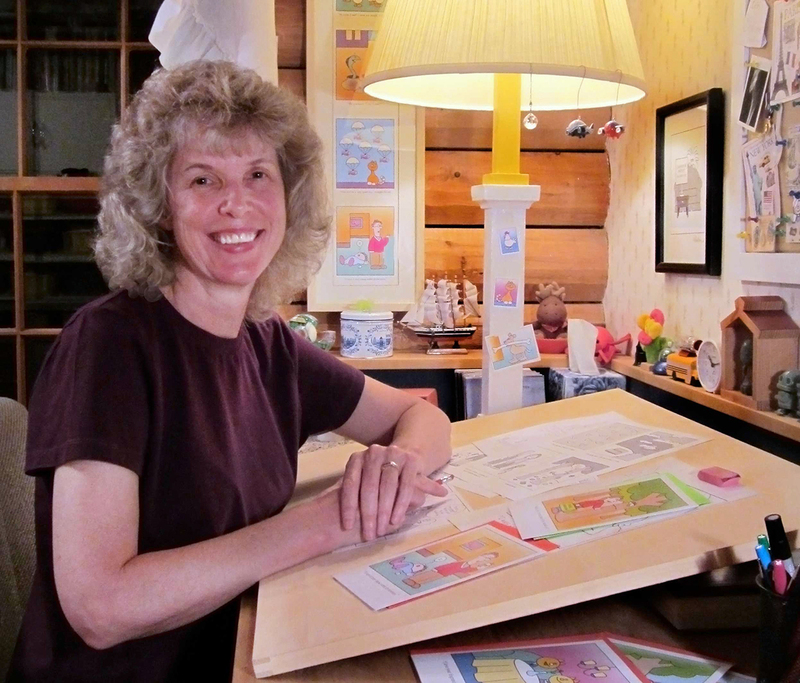 Her work has appeared in greeting cards, coloring books, animated films, and more. Her single-panel cartoon, Paper Thin, runs in magazines and newspapers nationwide. Teri is a certified elementary school teacher and art instructor, with Master’s Degrees in both Art and Teaching. Teri has been a teaching artist for over a decade, teaching drawing and cartooning in classrooms all across Lane County.